The Olympic Rings | Just Shooting Memories! 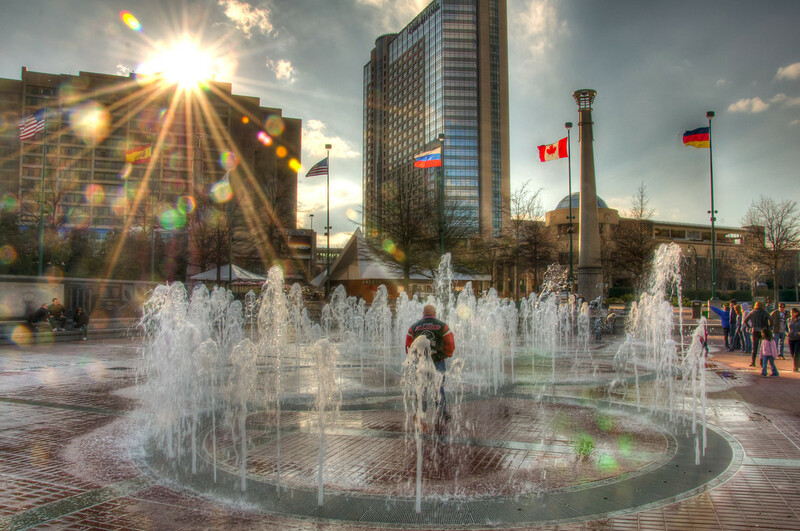 The central attraction for the Olympic Park in downtown Atlanta, Georgia is the Olympic Ring water fountain. It is not a boring old normal fountain either, it is interactive. The water fountain is at ground level and shoots water up in the air. But the best part is that you can walk through it and, if timed just right, not get a drop on you. However, I would strongly recommend against taking this jaunt expecting to stay dry. In fact, this was January and my nephew decided to try. He walked around for quite a while with wet pants.